According to many authorities that I have read during my research for posts for this blog, I have found a lot that say that say that nuclear war is survivable if you prepare for it. I have also read a lot that makes me wonder whether I would want to survive a nuclear disaster. This, of course, also makes me wonder whether other people would feel the same way. Since disaster risk reduction is a very good idea to avoid deaths and damage or make them less, I think we need to do disaster risk reduction with nuclear war and with nuclear power use as well. The simplest way to do this with nuclear war is not to have one. How we might achieve this goal is harder. Russia and the USA have many more nuclear weapons than any other countries. If we leave the decisions about these weapons to our politicians of these countries, we will end up nuking each other in the near future. I do not like this idea, nor do a lot of Americans. I believe the numbers of Americans who do not like this are the vast majority. According to some statistics I have read, over half of Russians do not like this either. I am not sure what is happening in Russia about this matter, but a lot of Americans are very discouraged about nuclear weapons to the point of being fatalistic about it. Many young Americans have a resigned attitude about it and think they will die before their time. I think Americans and Russians as well as other nuclear weapons nations like China, France, the UK, India, Pakistan, Israel, Belgium, Germany, Netherlands, Italy, Turkey, and North Korea, should find a way to do disaster risk reduction with nuclear weapons. I think I can help a little by giving people some information to use for thinking about nuclear disaster risk reduction. Not that many people read my blog now, but the number is going up fast. All I can do is try, so I will. 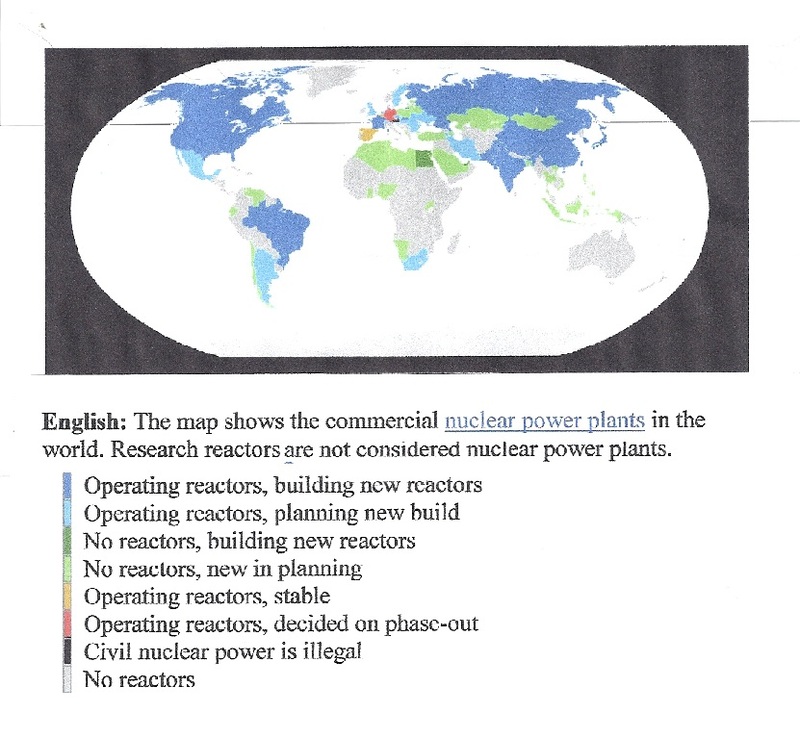 I do not think nuclear power is a great idea either, so I will provide information for those who agree on this or are willing to think about it. 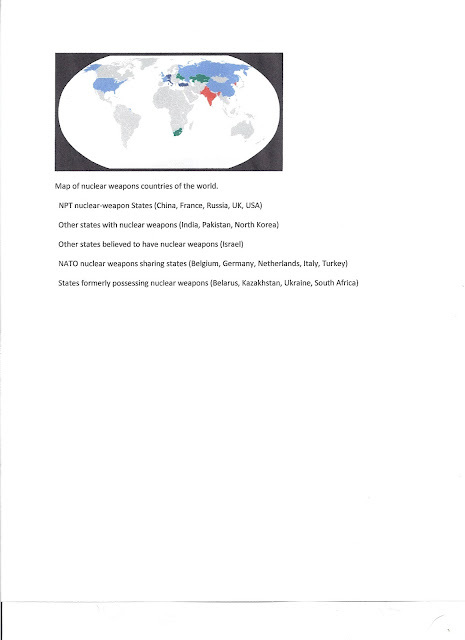 Below I have included a map of nuclear power in countries of the world. It also includes countries that have nuclear power plants in the planning and building stages. The link below is a world map of uranium deposits. I found it interesting that Canada has very large uranium deposits, yet does not use any nuclear power. They have a great abundance of hydroelectric power, and a small population, so they do not have a need for nuclear power. New Zealand got into financial difficulty with paying for a nuclear power plant that did not do what they intended it to do. I heard a lot about that when I was there and think it deserves a post. The Kiwis handled the matter in a way that I found very impressive.